30 years after Exxon Valdez, where is our ship of state headed? 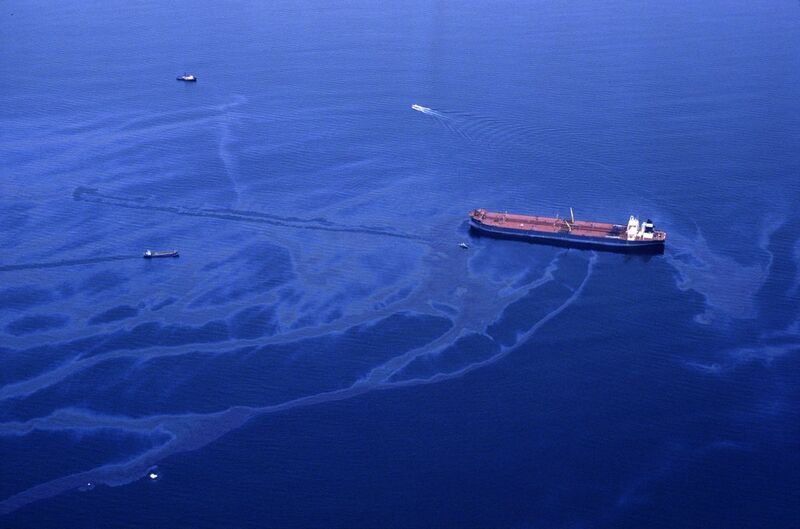 Thirty years ago on March 24, the Exxon Valdez oil tanker hit Bligh Reef in Prince William Sound, disgorging 11 million gallons of oil over 1,300 miles of coastline, of which 200 miles were heavily or moderately oiled. It is considered to be one of the most devastating human-caused environmental disasters in the world. Today, under Gov. Mike Dunleavy’s budget, our ship of state, and subsequently our economy, is heading toward a fiscal Bligh Reef. How disastrous this collision will become is now up to the Alaska Legislature. Just like the Exxon Valdez, this shipwreck is preventable… if we act immediately. Just as many Americans remember where they were when they got the news about the 9/11 attacks, many Alaskans recall where they were when the news of the spill reached them. Back then, I was working in my office for Southeast Alaska Seiners. I was also on the Executive Committee of United Fishermen of Alaska and remember the visceral outrage of the fishing industry when fishing boats loaded with oil-absorbent booms were told by Exxon managers to “stand by” because their oil skimmers were not in place and were in transit. Waiting for skimmers, a full day of calm water was wasted. Commercial fishermen had to watch the oil spread unchecked across Prince William Sound, destroying wildlife and leaving residue that even today can be found on the beaches. Today, with all the demonstrations on the Capitol steps, the outrage over Gov. Dunleavy’s budget feels equally palpable to me. When the governor cripples essential infrastructure like the Alaska Marine Highway, guts the university system with a 40 percent cut to state funding, does away with the power cost equalization payment for rural Alaska, and eliminates almost 17,000 well-paid, full-time jobs with benefits in favor of 10,000 low-paying, temporary jobs, the state’s economy becomes fully exposed to danger ahead. Respected economists at the Institute for Social and Economic Research estimate that the job losses and budget cuts proposed by the governor’s budget could extend the state’s economic recession. But who is at the budget helm? Just like the absent Captain Joe Hazelwood, Gov. Dunleavy has a third mate in charge - Donna Arduin, Director of the Office of Management and Budget. She is a hired gun known for hacking apart state budgets. But unlike Captain Hazelwood, Gov. Dunleavy is not turning over the helm due to his possible incapacitation. Instead, the governor is under the influence of a simple ultra-conservative ideology – government is a burden and taxes are evil – fueled by the popular lure of Permanent Fund dividends above all else. In this context, it is no surprise that the governor’s budget has little accompanying policy analysis. Is not creating chaos, intentional or not, akin to the third mate not looking at his radar? Did you know that the Exxon Valdez’s specialized Collision Avoidance Radar was left broken and disabled for more than a year before the disaster? Even worse, Exxon management knew it. It was just too expensive to fix and operate. Instead of looking forward, instead of investing in people, community and safety, Exxon was focused on the bottom line and cut some very costly corners. This is where overriding corporate interests got us 30 years ago. Similarly, the governor apparently lacks an economic collision radar, and as such, the Alaska Legislature must step up. The first course adjustment the Alaska Legislature should make is to eliminate the oil tax credit costing the state more than a billion dollars per year. Former Fairbanks Sen. Joe Paskvan explained in a recent op-ed, “Oil credits obligate Alaska to pay the oil industry billions of dollars without a reciprocal return on Alaska’s investment expenditure… Alaska has not received its Senate Bill 21 promise. There has been no flood of oilfield workers to Alaska’s North Slope, and Alaska’s treasury is not replenished by increased oil production. All you need to remember is the Senate Bill 21 promise in 2014 of 1 million barrels per day oil production; this promise to Alaskans was not kept.” Neither was Exxon’s promise kept to make Alaskan fishermen ‘financially whole’ after the Exxon Valdez disaster. Thirty years ago, reacting to the developments of the spill, Gov. Steve Cowper said, “Most Alaskans are going to reassess their attitude toward oil and gas development in this state. Thirty years after the Exxon Valdez spill, the herring population in Prince William Sound has yet to recover. Thirty years later, Gov. Dunleavy submitted a budget that holds the oil and gas industry harmless while slashing K-12 education. Gov. Dunleavy’s budget is poised to destroy not just our schools but Alaska’s chance of an economic recovery. It is poised like a financial crash of the Exxon Valdez. It’s time for the Alaska Legislature to reassess our attitude on oil tax credits, to stand up for our communities and make those vital course corrections while we still can. Kate Troll, a longtime Alaskan, has more than 22 years of experience in coastal management, fisheries and energy policy and is a former executive director for United Fishermen of Alaska and the Alaska Conservation Voters. She’s been elected to local office twice, written two books and resides in Douglas.